At the League of Women Voters debate this week, Peter Roskam did not say he would accept the election results in November. according to several League of Women Voters groups in Roskam's 6th Congressional District, he has not appeared at their forums for a debate, and he will not be attending this year's forum scheduled for Oct. 16. U.S. Rep. Peter Roskam, R-Wheaton, walked away from reporters on Monday who asked about the effect of Donald Trump on the Republican Party. "Oh heaven help me," Roskam said as he turned and left the College of DuPage in west suburban Glen Ellyn. Roskam is reluctant to publicly acknowledge his kamikaze candidate for President, Donald Trump. 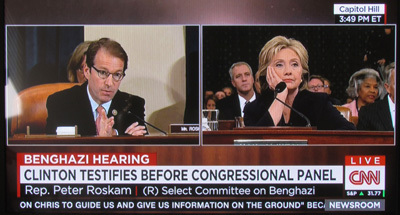 One spokesman said, "Congressman Roskam wants to talk about the issues the voters care about: Benghazi, Benghazi and Benghazi."